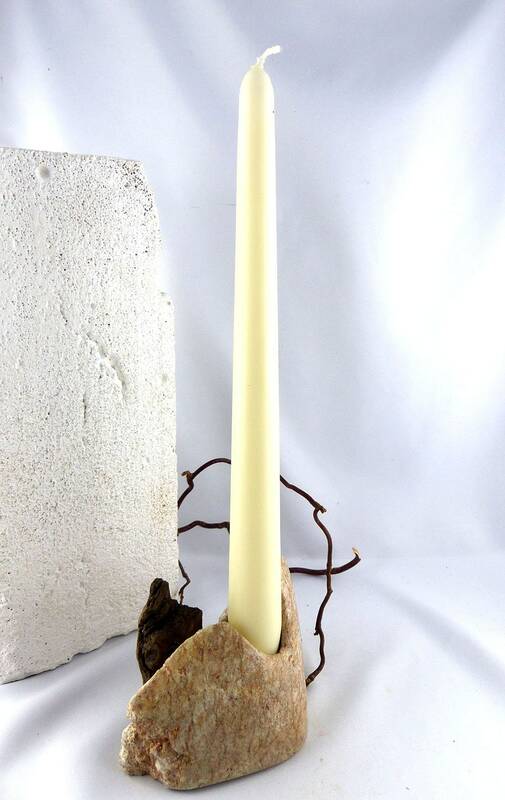 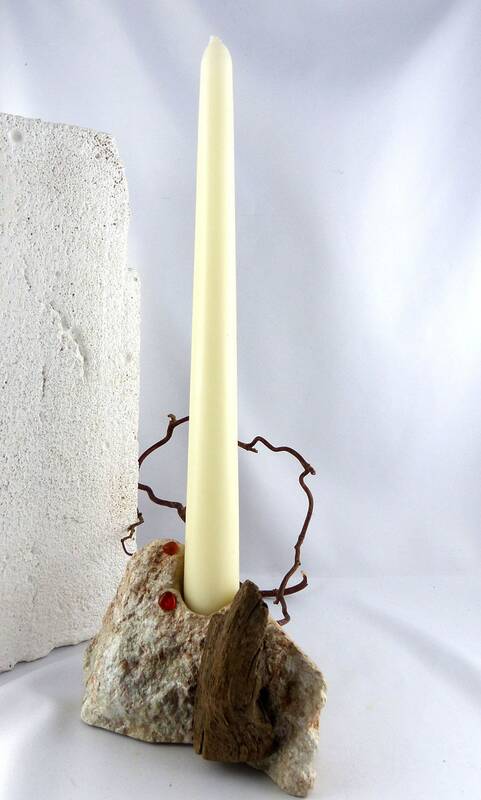 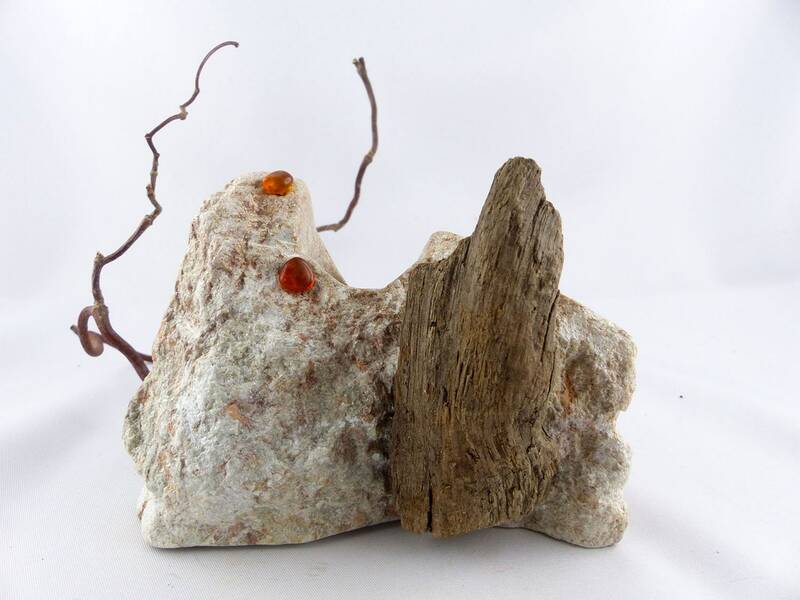 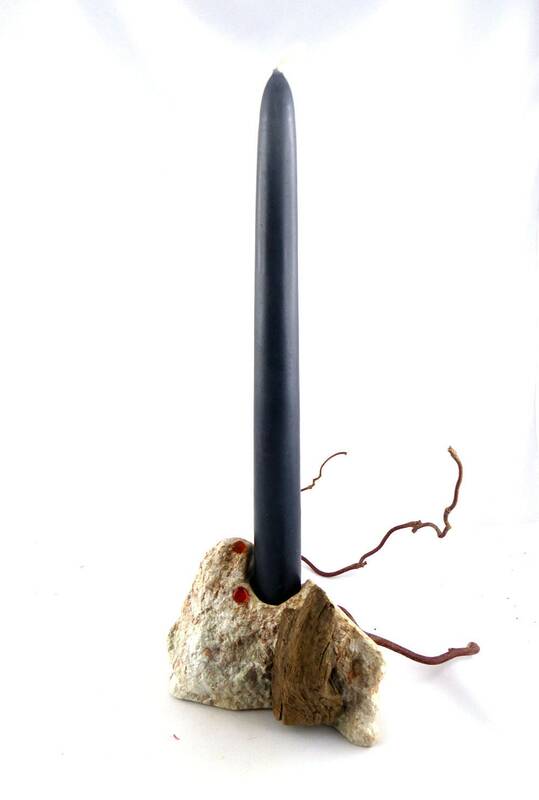 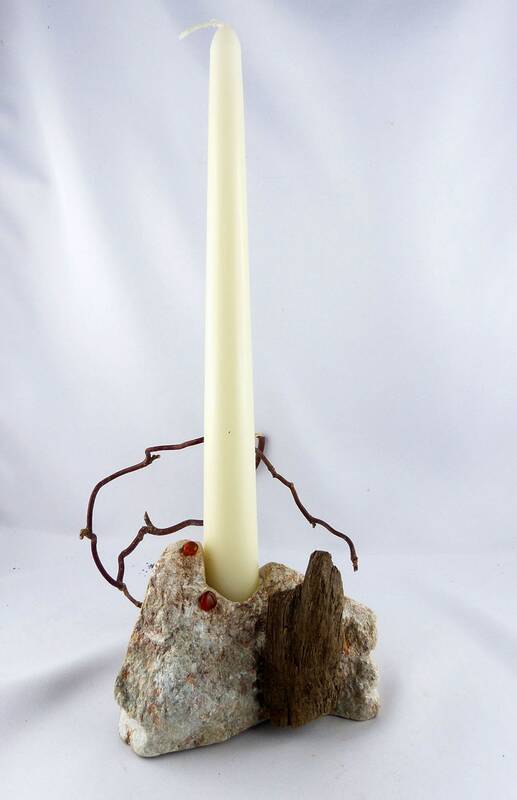 “EIGIL” – a heart warming candlestick carved of stone, driftwood and genuine amber. 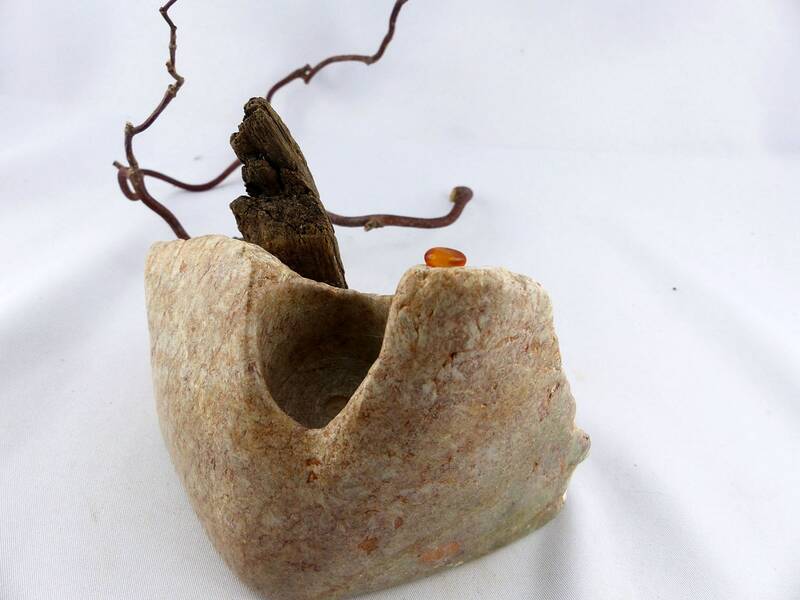 This object is handcrafted of Brazilian Steatite, promising to bring a very special warm light to your home and your heart. 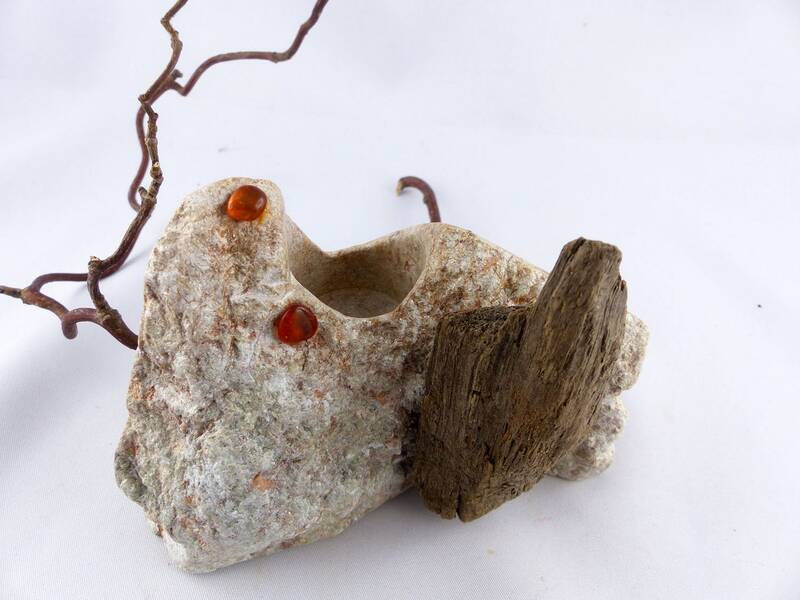 Opposites attract: a wonderful piece of driftwood, found at the Baltic Sea coast, close to the raw surface part of the soapstone. 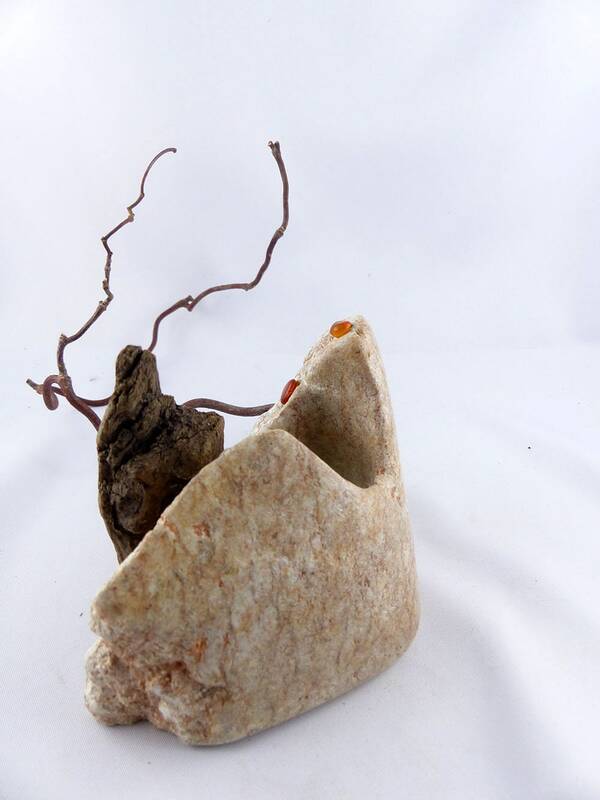 Natural textures and a massive look make these unique handcrafted stone object an eyecatching part of your home interior you don't wanna miss anymore.